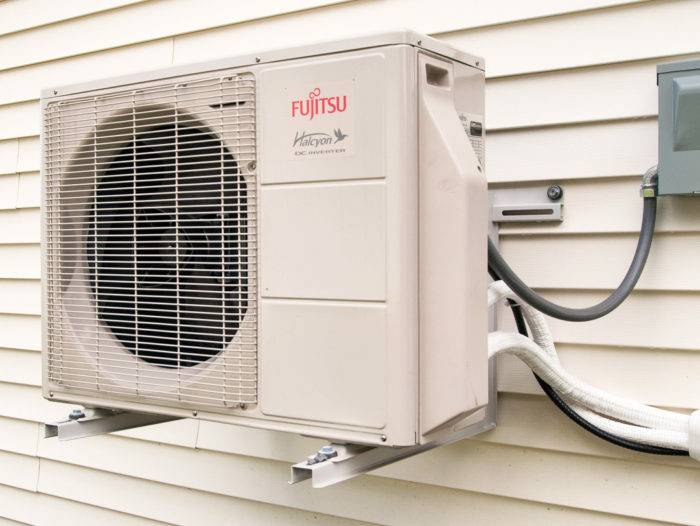 Ductless minisplit heat pumps are relatively simple, consisting of an outdoor compressor/condenser (pictured) and one or more indoor evaporators. One homeowner wants to know why it costs so much to get them installed. 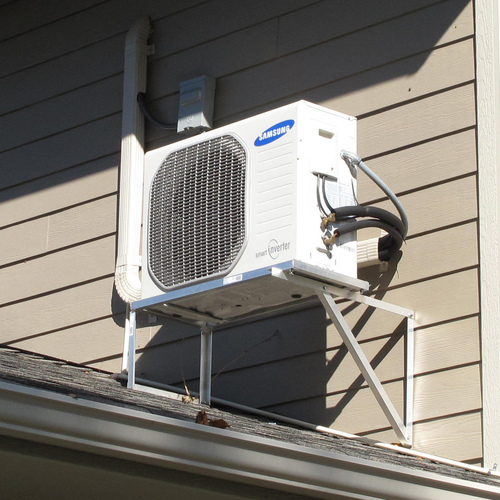 Ductless minisplit heat pumps have received a tremendous amount of attention in the last several years, and Peter L. would like to include one in his own house. There’s only one problem: an estimate that seems far higher than it should. 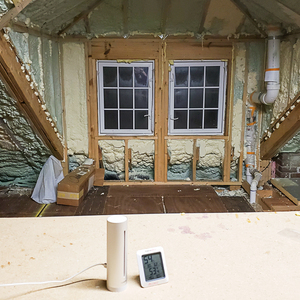 Installers see minisplits as a niche market, Peter says, and because they’re not making money on the ductwork that a conventional heating and cooling system would require, they are charging “crazy install prices” to make up the difference. In this case, Peter estimates that the installation should cost about $500, not the $2,000 his contractor has in mind. That makes installing the system himself an attractive option. Dare to DIY A Minisplit Install? Smart plan or not? That’s the topic for this Q&A Spotlight. The question has come up before, GBA senior editor Martin Holladay points out, when Justin Fink, the editor of Fine Homebuilding magazine posted a question about installing a minisplit himself when he renovated his garage shop. That was back in 2013. Ben Balcombe suggests there’s more to a higher-than-expected estimate from a small company than Peter might realize. That includes wages, taxes, real estate, the purchase and maintenance of work vehicles, training, liability insurance, and medical insurance. To Tim Brown, who runs a small business himself, the $2,000 installation charge is way too much, and reflects a belief in the HVAC community that minisplits are a “cash cow” not unlike photovoltaic systems. “What I’m finding with the minisplits (at least in northwest Ontario) is [they] are new, exotic, and well outside the comfort zone that most of the companies work in. The attitude is Hey, if you really want that fancy new unit, you gotta pay whatever I ask. It is particularly true when there are only a couple of companies that have ever touched a minisplit. When Brown runs the numbers, he comes up with no more than an eight-hour day, and that includes an hour to test the system and have a cup of coffee with the customer before leaving. At most, $1,000 ought to cover it. “Just throwing that our for discussion,” he says. Brown’s claims ring a bell with Steve S., who writes that the oversized effort to get a minisplit installed in his house was simply too much. “I had five different contractors look at our project — a 1,500-square-foot, two-bedroom Cape Cod that I had just spray foam insulated, which I thought was a perfect candidate for a minisplit system, and all of them talked about how it would be better to install traditional HVAC,” he writes. Jimmy Black says he’s probably saving a couple of thousand dollars by helping a local contractor install a 3-ton, two-head ductless Midea system, but the potential savings of doing the whole job himself weren’t that enticing. 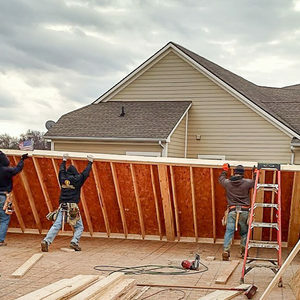 “I priced doing the system myself, but by the time you add up all of the ductwork (I have some custom pieces), lines, and time involved I was well into $4-$5,000,” Black writes. “Not to mention that simply troubleshooting any problems is going to cost you big bucks, since you have to evacuate the whole line set for many issues. Expect $200-$400 per service call. That said, if you’re installing a small, simple system — one outdoor unit and one indoor unit — do it yourself, Black says. Dana Dorsett checks the details of Peter’s original post and offers this thought: the Mr. Slim minisplit included in the quote is a 10-year-old model that has been discontinued. “You don’t want it,” he says. A new model, Mitsubishi’s FH12NA, “has a significant efficiency advantage over the FE12, which would only be sold by third-party remainder and surplus houses these days, not standard Mitsubishi distributors, though you can still get repair parts for them,” Dorsett says. Dorsett says that in his area, the FH12 would cost about $4,000. “I’d only consider installing an FE12 if it came in under $3,000,” he says. Wait a little longer, an anonymous poster tells Peter, and you’ll be able to buy an even more efficient Mr. Cool minisplit — and one that includes a warranty for DIY installation. “The Mr. Cool DIY series comes with a warranty for DIY,” the poster says. “And by the way, minisplit costs about $50 (US) to install in China. You can get in the U.S. a Midea 24,000 Btu/h unit for $1,300, 20 SEER. Oh, Midea [has] got a 40 SEER (yes, 40 SEER) unit coming out this year, and it should be dirt cheap, too. I checked in with a local high-performance HVAC contractor, ARC Mechanical, on the issue of affordable installation of simple ductless minisplit heat pumps. ARC completed approximately 150 minisplit heat pump installations last year, many of them for single-family homes. Alex Wilson in our shop recommended I talk with Mark Russwick, the guy he worked with on the HVAC system in his own home. 1. You need a vacuum pump. Even if the compressor and the line set come charged, you will need to purge the interior head, which will not come pre-charged. And if you don’t ensure that the entire system is pressurized with just refrigerant, you run the risk of inefficient operation and probably damage or reduction in service life of the compressor. 2. These are relatively new systems and certified training ensures a warrantied install. ARC is an elite Diamond installer for Mitsubishi Electric, which means all of their installs have a 12-year warranty. “The trainings are important because these are high performance systems and the field is changing and improving really fast. Tough to stay on top of the game,” Mark stated. 3. The cost of equipment is about $1,750. Mark showed me an actual invoice for a Mitsubishi 1-ton, single-zone, Hyper-Heat, including the compressor, indoor head, line set, controllers, concrete pad, and 18-inch compressor stand. $150 line hide, including wall inlet, two straight sections, one coupling, one end outlet, spray foam, and caulking for a standard 30-foot line length. $60 control wire and drain, at $2 per foot. $1,280 labor — two guys, five hours each at job, including travel time. 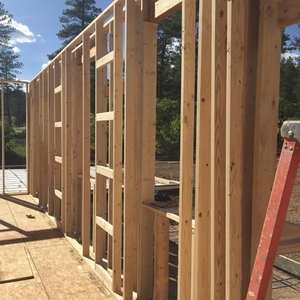 $725 electrical work — 240-volt 20-amp wiring 50 feet to panel, and including code-required exterior GFI duplex service outlet (labor and materials). The total cost, Mark said, is “right around four grand. “Given the quantity-discount in our numbers and the fact that our labor rates might be lower than your GBA poster (Pacific Northwest), not as far off from $4,800 as you might expect,” he said. Just about 5 years ago a relative of mine in western WA had an FE18 installed by a Mitsubishi Diamond installer for less than that. That's a bigger and more expensive unit , and it was still a current model when installed, unlike the current quote for installing the now discontinued FE12, (It was not the newer and substantially more efficient FH12.) Even if it was the FH12, $4.8K would be on the high side for an installation in the PNW. "Most Ductless Installers Clueless, GBA Reports"
As Mark R says in the article, you cannot properly install a mini split heat pump without properly evacuating the line set to eliminate all air and all moisture from the line set. This requires a high quality vacuum pump and depending on the install and the time of year, the process can take between 2 and 4 hours when done properly (triple evacuation with dry nitrogen purge in between). If you skip this step, the system will kind of work initially, but efficiency will be low and you are likely to have premature component failure as the remaining moisture in the line set will contaminate the refrigerant and compressor oil. For those interested in the effects of install quality (even among "professional" installers) I highly recommend the recent report "Ductless Mini split heat pump impact evaluation" authored by the Cadmus Group for MA and RI. On page 104 of that report, they include the interesting finding that a lower quality reduced COP by as much as 0.7-1.0 when compared to a proper install. So even leaving aside the likely shorter unit life, it is pretty clear that a 'cheap' install usually isn't 'cheap. does cheap have to be incorrect? Some of the implication seems to be that a self-install would simply omit evacuating the line set properly, but that's surely doing a disservice to people who are truly interested in learning how to do a job correctly. It seems that most people posting here are obsessive enough to fall into that category! Equipment such as an a/c vacuum pump isn't expensive enough to form much of a barrier; the hard part is collecting the necessary knowledge. HVAC has always seemed one of the most secretive trades (relatively little good DIY info out there), yet countless articles on this site demonstrate that some HVAC contractors really aren't providing the highest quality analysis to their customers (no offense intended to the many good contractors out there). These spotlights are excellent. A really good distillation that allows the subject to come into focus. Thanks. I'm glad they're useful. Part of the risk of any mini-split installation is the risk of an accidental release of refrigerant if the lines leak. Assuming people reading GBA are often motivated by reducing their climate impact, they should be concerned that a refrigerant release could undo a lot of other good work on minimizing climate impact. (R-410 has a global warming potential near 2000X higher than CO2.) It's possible that a meticulous DIYer could control that risk as well as, or even better than, a random professional, but for most people the best plan is probably to choose a highly qualified professional. For DIY, I think that a Chiltrix air-to-water heat pump is a better option. 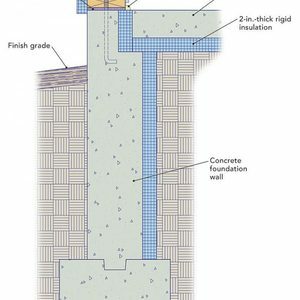 Yes, there's a lot to learn to design and install a hydronic system that works well, especially when it's for cooling as well as heating. 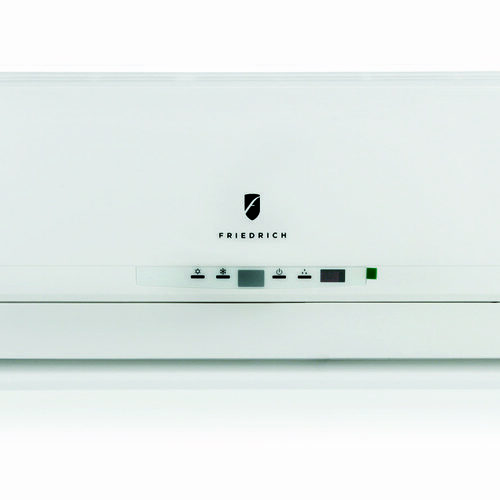 But the Chiltrix system includes a variable-speed pump and controls inside the unit. And what i think is the key advantage: the refrigerant connections are all factory made inside the unit. The lack of refrigerant lines outside the unit reduces the chances of leaks, and reduces the quantity of refrigerant needed, so there's less impact even if it does at some point leak due to some other failure. Most DIYers would do best to hire a mechanical engineer to design the system if they go with Chiltrix, but I think they could install it themselves. HVAC installer or heart surgeon? In L.A., to replace an 18,000 BTU with a new Mitsubishi (so the 220 v & hole in wall were already present) required calling 27 HVAC contractors to receive four bids. Most wanted to send out a "Comfort Specialist" in 2 or 3 weeks, despite my assertion that I already had experienced what I wanted—I just needed a replacement. Two bids came in at $3500; one at $5,000; and one at $8,000! Unit cost was less than $1800, and my electrician made the electrical connection. The installer with one helper earned $1700 for the five hours. He probably paid his helper $20/hr, leaving over $300/hr. for himself. The $8,000 bid would have netted $1240/hr to be split with the help. It would be cheaper to hire a heart surgeon to do the job. In other countries, mini splits are just a commodity. 1. I worked as a roofer and builder for a couple of decades. Work in the trades is honest work, and there is a shortage of skilled workers. All GBA readers should be urging their daughters and sons to enter the construction trades. 2. I never netted anything close to $300 an hour on any job (or even $30 an hour, for that matter). I worked without health insurance, paid vacations, or any type of retirement plan. I wasn't very smart about business. 3. Some electricians, plumbers, and HVAC contractors make a very decent living. Stop whining about it. Get training and open an HVAC business. We need more skilled workers in the field. The estimate for the cost of a heart surgeon is also unrealistically low. $3500 for swapping out a 1.5 tonner where some or most of the ancillary stuff was already pre-installed is realistic, and not a gouge, whereas the $8K bid sounds like someone fishing for enough margin to keep up with the fees at the marina where they keep the yacht. To all of the people suggesting that it's impossible or high risk to DIY a minisplit install, how do you think that the "DIY" models are attempting to get around this? Do they simply accept that there's a potential hit to the COP due to the uncertainty of the pre-charged lineset? I also wonder what the real world performance difference is between one of these units and one of the top end Mitsubishi's. You can buy a fair amount of electricity for the ~$3k cost difference between a user installed unit and a professionally installed Mitsubishi, Fujitsu, etc. Here in the great state of NY, home of some of the highest insurance rates in the country, to employ a person in the designated insurance field of "construction" including workers comp, unemployment, liability etc.I pay an about an additional 46% on top of flat wage. So an entry level laborer at $16/hr would cost about $24/hr, no health insurance. expensive states in which to employ people. For example they pay OT per the day (8+ hrs) not per the week (40+ hrs). Very few states do this. What no accounting burdening of the hourly costs with distribution the office or capital expenses in the NY analysis? Counting only the marginal cost is disingenuous. It's not merely the associated insurance etc adding up to 46% for the individual employee. An HVAC business without an office, licenses, tools, or a truck won't be in business for very long either. If you can get all that for $24/hr in a full accounting it's quite a bargain! In my small 6-person (not construction) business there are a couple people currently working at less than $16/hr, but when the full costs of the business it broken out by the hour it's still ~$50/hr, even after the health care benefits are separated out, and it's not because of a gold-plated office. It's unlikely that a typical mini-split crew in my area would have unskilled $16/hr labor as the "...one helper...", but maybe that happens in CA(?). The point of comparison should be through-the-wall units. I can buy a new 12+ EER window AC for under $200 and install it myself; it plugs right into a standard receptacle. A window unit with heat pump functionality is $400 and a PTHP is $700. Especially in cooling-dominated climates (i.e. at least half the USA and most of the developing world), this is the competition. We're talking commodity vs custom here. To compete with a commodity, custom work has to be substantially better (check), and the price still has to be *reasonable* (nope). 5-20 times the commodity price is not reasonable. The FE12NA quote that prompted this blog piece is a 1-ton cold climate heat pump with specified output down to -13F, and keeps running at temps down to at least -18F (below that it may turn itself off to self-protect due to the temperature sensing thermistor being out of range, according to some of the info sheets.) It has enough output to be the primary heating source for modestly sized better than code houses. Most people in cooling dominated climates wouldn't be installing one of those, anyway (and certainly not for $4800!) Five years ago on a deep energy retrofit I was involved with quotes for FE18 1.5 ton Hyper Heating cold climate minisplits were in the ~$4500 range, all-in for a new installation, and that's what they were going for in markets the other side of the country too. (I have multiple friends and relatives heating their homes primarily with the FE18). A simple swap-out of a 1.5 tonner shouldn't be more than $3500, but I'd be surprised to find somebody who would do it for much less than $3000, especially in higher priced markets (such as L.A.?). Sure in temperate or cooling dominated climates the $500-$1000 third-world DIY mini-splits can work, but a wall-plugged unit wouldn't meet code as the primary heat source for the room (or whole house) the way a hard wired technician installed & commissioned mini-split can, and it's unlikely to have the same robustness as the first-tier cold climate mini-splits. They're not really apples-to-apples comparable. I'm not holding my breath waiting on the model release of PTHPs or PTACs outfitted with HRV core ventilation. The noise levels of PTAC/PTHP still leave something to be desired, but they've gotten better once scroll compressors arrived on the scene. As for sizing, I've never seen a PTAC that can run down to the 1000-2000 BTU/hr range, but there are several 3/4 ton mini-splits (and at least one half-tonner) that can. Really good point, Nate. A lot of the advantages of mini-splits over various alternatives are that all the best variable speed high efficiency compressors and fans are used, rather than that the capabilities of the mini-split are inherently better. The one place the mini-split really inherently wins vs. something that is mounted through the wall is on noise. You can do better in a through-wall unit with variable speed, but there's only so low you can go without separating the compressor--either by using mini-splits, or with air-to-water systems. Dana, you said, "wall-plugged unit wouldn't meet code as the primary heat source for the room (or whole house) the way a hard wired technician installed & commissioned mini-split can"
I've been installing whole house PTHPs and have had no trouble with code officials. 1) before anything else, someone needs to run a load calc - that means sending a competent person to site (in a vehicle) with a laptop or tablet loaded with licensed software. That guy needs to know how to do a Man J, and it will take some time to make all the necessary measurements and ask the right questions of th cleint. 2) Generally we'll propose 2 - 3 system options from which the client chooses what best fits needs - proposal generation takes time and money. 3) Once the system is selected, a mechanical permit is needed.The city or county will require a permit - that includes a fee, administrative activity to pull the permit, and more to schedule the inspection, requiring coordination with the homeowner. 4) Back office activities include getting the system on order, taking delivery, and then getting it and all its accessories and supplies acquired and staged for pickup by the install team. 5) In addition to the much-aforementioned evacuation, consider also nitrogen purge, brazing or flaring of copper connections, and pressure testing. There is the cost of the copper lineset, and its insulation. Minisplits also need a specialized power and data cable between indoor and outdoor sections. 5a) Complete and proper evacuation should be verified with a micron gauge, competently used. 6) Minisplits, like any other HVAC system, generate condensate which must be reliably collected and drained so as to meet code and not create a nuisance. The condensate drain pipe must be carefully sloped and insulated, possibly even pumped. The indoor unit, if in a sensitive location, may need an additional condensate overflow interlock to prevent damage. 7) The outdoor unit needs to be securely fastened (hurricane code) to a suitably selected, sized, and elevated mounting pad. 8) The client will probably want assurance that the installer has experience and credentials to improve probability of an efficient reliable system - EPA certification is a bare minimum, NATE and / or manufacturer certifications highly desirable. 9) The client will likely need a bit of hand-holding as the system is placed in service - a hands on tour of the control / thermostat, a discussion of maintenance requirements as well as warranty registration of the newly installed system. 10) In addition to the usual during-business-hours back office infrastructure normally taken for granted, most clients value the ability to contact their HVAC contractor after hours, the other 128 hours of the week not covered during 9 - 5, Monday through Friday. 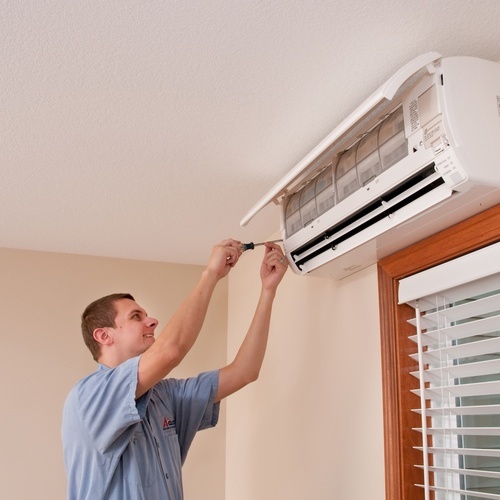 Emergency service requires an on-call technician ready to respond as well as availability of loaner portable or window air conditioners and space heaters. 11) After all of the above is furnished and paid for, there is the question of what is a reasonable profit margin for the contractor? A mere 10% profit margin, after all is said and done would please most contractors. Is that too much to ask? Thanks very much for taking the time to post your helpful comments. Anyhow, I am looking to heat two living units (house and apartment) in a yet-to-be-built home, which have been modeled (using PHPP) to have total heating loads of 11k BTU and 6.5k BTU respectively. Due to concerns about refrigerants, I am contemplating a Sanden (CO2) Hot Water Heat pump tied to a baseboard water radiant system... but I'm thinking at these low loads, especially if I have wood stove supplemental, that I might be better off just installing baseboard (radiant) electric and calling it a day. (There is no cooling demand shown in the model). Maybe the answer is to reduce cooling loads to zero and then eliminate refrigerants. Do you have any thoughts regarding the comparative system and installation costs of hydronic baseboard hot water (tied to domestic Sanded CO2 hot water tank) and a baseboard electric hot water system (assuming the Sanden hot water tank is still used for DHW)? My hunch is that the electric baseboards will be less expensive to install, somewhat more expensive to operate, but potentially less expensive long term due to inherent ability to have separate zones in each room, and very low long term maintenance costs. Reducing cooling loads to zero? In zone 5A? 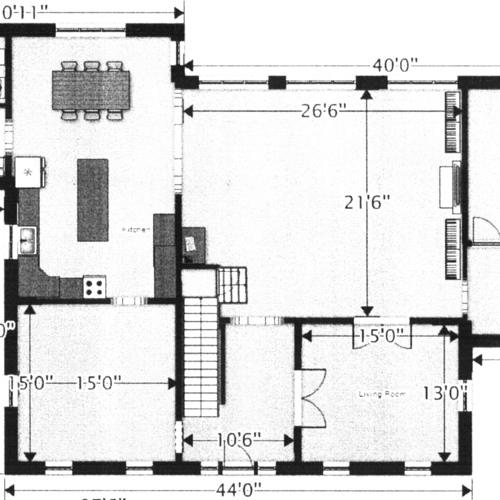 ...in a PHPP modeled house designed for making the most of solar gain? Zero cooling load in zone 5A is not possible, except maybe in a cave, but even in a solar-tempered low energy cave dwelling there would be some cooling load. Don't over-think the refrigerant thing. ...or a bit less than 1-lb of CO2-equivalent emission per DAY. Driving a 50 mpg Prius (a lower-than-US average) 25 miles per day burns a half-gallon of fuel, releasing about 10 lbs of CO2. That's just the tailpipe CO2 emissions, not including emissions from drilling, pumping, shipping, and refining the fuel. That planet destroying Prius is puking up a full order of magnitude more climate damage than mini-split leakage. To match the damage of even a low-annual miles Prius they would have to leak an average of 50% of the refrigerant every year. That's not to say we can be sloppy in how we use R410A in heat pumps, only that it's small-potato stuff in the bigger scheme. In the intermediate and longer term R410A and other climate damaging refrigerants are going away. In 20-30 years when it's time to replace the mini-split, the heat pump that replaces it will be using something more benign, CO2, or HFO1234yf or HFO1234ze, all of which are being used in some refrigeration systems today. But there are MUCH bigger greenhouse gas problems to be focusing our efforts on in the mean time.